Could the long-planned Shakespeare North Playhouse finally be happening? 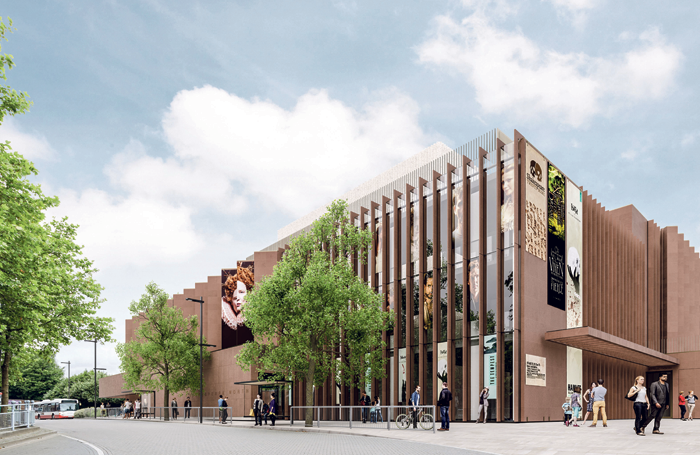 It now has an interim chief executive, Ian Tabbron, seconded from the Arts Council, and Kier Construction, the contractor behind Chester’s Storyhouse, has been appointed for the £24 million project. It could begin preliminary work as early as April. The team behind the project awaits the results of the archaeological dig currently on site, and then the last major hurdle: whether the Liverpool City Region Combined Authority will approve the £6.5 million business case presented for an authentic Shakespearean theatre for the north of England. There have been false dawns before, but its backers confidently say the project “is go”, and have already secured £11 million from local and central government, along with £700,000 in donations. Grant applications totalling £1 million have also been submitted to charitable organisations. If the end is finally in sight for the playhouse in Prescot, on the outskirts of Liverpool, it will have been a long road travelled. Talk of a Globe-style theatre in the North West goes back to the late 1990s, when a Northern Shakespeare Theatre Education Centre was mooted for Hoghton Tower near Preston. Prescot was pinpointed as the preferred site in 2004. The small town on the edge of the Earls of Derby’s Knowsley estate was home to the only purpose-built, free-standing theatre outside London when its first playhouse was built in the 1590s. The Earls of Derby were patrons of Shakespeare, who is believed to have written A Midsummer Night’s Dream for the sixth Earl’s wedding in 1595. And Ferdinando Stanley, briefly the fifth Earl, was behind Lord Strange’s Men, a band of players who were the first to perform the playwright’s work at the Rose Theatre, and later formed part of Shakespeare’s own troupe at the Globe. The original Prescot Playhouse lasted only a matter of 20 years – about the length of time the new theatre will have taken from initial idea to physical realisation. “To get a theatre from concept into delivery usually takes about 25 years,” points out Knowsley Borough Council executive director of place John Flaherty. The Playhouse scheme has had its ups and downs, and changes in design and emphasis, over that time. Despite gaining initial National Lottery backing and pre-funding, a £20 million stage-two bid for the first incarnation was rejected in 2008. “It was very different because it was a much bigger complex that included a museum and dance studio, and it was going to cost a lot more. It was almost a big civic project,” says Kathy Dacre, chair of the development board at the Shakespeare North Trust, which was formed after the first Lottery bid failed. The project received backing from Gordon Brown, former culture minister Ed Vaizey and George Howarth, the Prescot-born MP for Knowsley. It was Howarth who instigated a Westminster debate in 2015 that led to George Osborne pledging £5 million to the project in his 2016 budget. The agreed scheme, given final planning permission last year, is for a 350-seat Jacobean-style auditorium set within a modern building that will also house education facilities for a new one-year MA in Shakespearean performance practice, backed by Liverpool John Moores University. It is seen locally as an important part of the regeneration of one of the most deprived areas in Britain. Education opportunities and wider regeneration of the town are reasons Knowsley Council has thrown its weight behind the plan, and Flaherty believes that is why it will secure support and funding from the Liverpool City Region Combined Authority. In the meantime, the scheme has attracted a starry list of patrons including Judi Dench, who made her stage debut as Ophelia in Hamlet at Liverpool’s Royal Court in 1957. Elizabethan sets in storage aside, the playhouse will be predominantly a receiving house. Northern Broadsides, the Lord Chamberlain’s Men and Graeae have already agreed to be associate companies, visiting at least twice a year to perform as well as working with MA students. And, Dacre adds, the trust is “in talks with Shakespeare’s Globe on an educational and touring collaboration”. 1. Lord Strange’s Men are believed to have been the first company to perform Henry VI, Richard III and Titus Andronicus, while Shakespeare made Lord Derby the kingmaker in Richard III. 2. Patrons include Vanessa Redgrave, Patrick Stewart, David Calder, Alison Steadman, Paul McCartney, Liverpool-born actress Kim Cattrall, Patrick Spottiswoode – director of education at Shakespeare’s Globe – and Helen Mirren. 3. 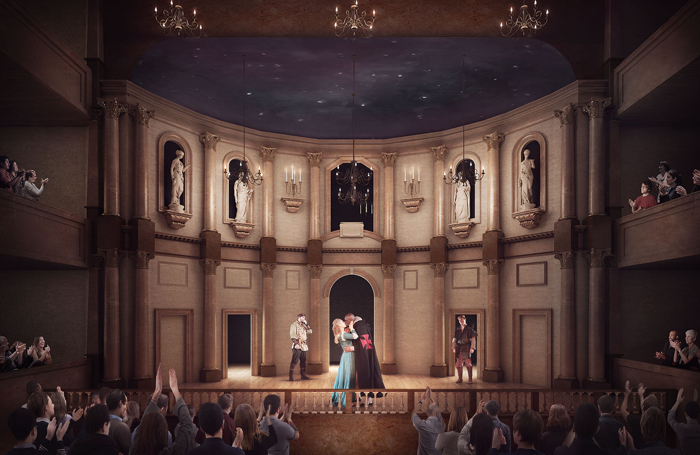 The playhouse will be the third specially recreated Tudor/Jacobean theatre space in the UK after the Globe and the Sam Wanamaker Playhouse and the only one outside London. 4. One of the earlier architectural plans for the Playhouse had water separating the auditorium from the surrounding building – to help the acoustics and create a ‘Prospero’s Island’. 5. Alongside the MA course, the venue will develop apprenticeships in stage craft, and community programmes. The Playhouse will be Graeae’s northern base, while there has been a ‘memorandum of agreement’ to become the Shakespeare Schools Festival’s headquarters in the North West. Meanwhile, the trust is also in discussion with the Oregon Shakespeare Festival Company and Jerzy Limon, founder of the Gdansk Shakespeare Festival, about working together. Public performance is only half the new building’s function. As an educational base, it will be home to up to 30 UK and international MA students, as well as offering apprenticeships and community courses. The education programme is supported by what Dacre, professor of theatre studies at Rose Bruford College, describes as a broad range of professionals from UK colleges and organisations including RADA, Central, the Royal Shakespeare Company and universities such as Kingston and Hull. She isn’t the only one with local connections supporting the education programme. Director Phillip Breen was born in Liverpool, while voice coaches Stephen Kemble and Martin McKellan, from the Royal Shakespeare Company and Globe respectively, were both born and brought up in Knowsley. 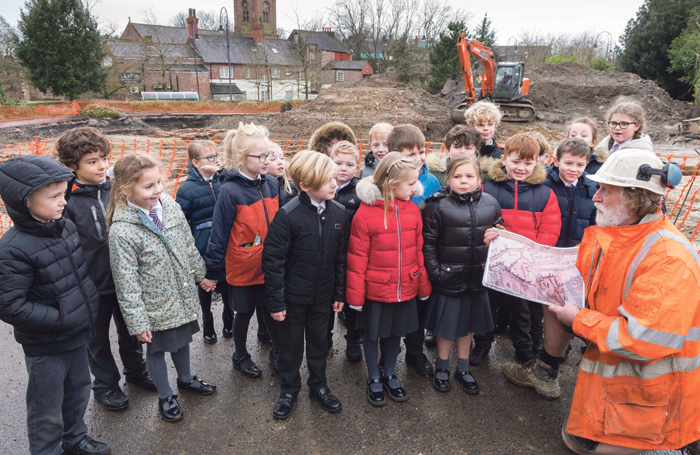 The venue hopes to inspire the region’s youngsters through classes, workshops and performances, as well as creating programmes linked to the primary and secondary curriculum. What happens if the City Region turns down the £6.5 million business case this spring? Flaherty says the borough remains “relatively confident of securing their support and the funding”. At the same time, the council has also agreed to underwrite the funding gap over the construction period to enable work to start while different strands of fundraising activity continue. As far as Dacre is concerned, the project is “now go”, despite the prospect – if the City Region decides not to come on board – of having to find an extra £6.5 million, potentially through targeting large corporate sponsors as well as charitable bodies.